More medtech companies are experiencing shortages of medical devices due to the sudden closure in February of a Sterigenics sterilization plant. Officials from Cardinal Health (NYSE:CAH), and Guerbet (EPA:GBT) have written letters to customers indicating that certain devices are already in short supply or may experience shortages, Medical Device & Outsourcing has learned. The letter from Cardinal Health (Dublin, Ohio) said that the company expects a shortage of its Kendall Accu-Trace intrauterine pressure catheter until early August. 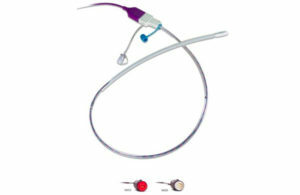 This device is placed inside a pregnant woman’s uterus to monitor uterine contractions during labor. The letter from Guerbet (Villepinte, France) said that disposable power injectors used with its Optistar, Optivantage and Illumena contrast delivery systems may experience shortages. Officials from those companies did not immediately respond to requests for comment. The February shutdown of an ethylene oxide (EO) sterilization plant has produced the first temporary medical device shortage, according to the FDA. 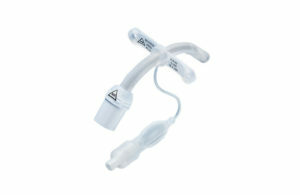 The device in short supply is the Bivona tracheostomy tube manufactured by Smiths Medical and used by many pediatric patients. The FDA anticipates the tube will be made available again the week of April 22, according to a statement from Dr. Jeffrey Shuren, director of the agency’s Center for Devices and Radiological Health (CDRH). The state of Illinois ordered the shutdown of the Sterigenics plant in Willowbrook, Ill. due to emissions of EO, a highly carcinogenic chemical compound. Smith Medical parent company Smiths Group (LON:SMIN) today announced plans to pursue a demerger with its Smiths Medical business, which will become separately listed in the UK. Smiths Group said it believes the demerger will strengthen both companies and allow the newly separated medical business to better capitalize on its leading positions, product launches and other value-creating opportunities. The company said it expects to complete the demerger some time during the first half of next year. “Pursuing a demerger of Smiths Medical will lead to two stronger companies each focusing on accelerating the execution of their plans and maximising the opportunities in their respective markets. With sustained operational improvement and investment, both Smiths and Smiths Medical are well positioned to capitalise on their leadership positions and new products. Smiths will become a leading industrial technology group concentrated on the execution of its organic and inorganic growth strategy whilst maximising shareholder value,” CEO Andy Reynolds Smith said in a prepared statement. The newly independent medical company will also need a new chief exec after its former prez & CEO Chris Holmes stepped away, effective Deceember 31, according to a Minneapolis Star Tribune report. The conglomerate said that it has already begun the search for a replacement for Holmes. Smiths Medical will have corporate headquarters in the U.K. with operational headquarters in Plymouth, Minn., according to the report. The medical business employs approximately 7,600 employees worldwide. “Based on the work done to date, Smiths does not foresee any potential roadblocks in executing the demerger. The strategic plan for Smiths Medical will be further developed with the leadership over the coming months,” Smiths Group said in a press release. The demerger comes after years of seeking a buyer for Smiths Medical with no success. Last September, Smiths Medical ended possible merger plans with ICU Medical (NSDQ:ICUI) in a deal reportedly worth approximately $4 billion. The companies had been in discussions since last May. Listed amongst other potential buyers over the past years are Baxter (NYSE:BAX), Teleflex (NYSE:TFX) and B. Braun, though no discussions were officially disclosed. The post Smiths Group unveils Smiths Medical spinout plan, search for new CEO appeared first on MassDevice. Smith Medical‘s parent company Smiths Group (LON:SMIN) is expected to disclose how it plans to separate its medical division from the rest of the organization on Friday, according to a report from the Minneapolis Star Tribune posted yesterday. The conglomerate has been seeking buyers for its medical division over the past few years, and has also mentioned the possibility of an initial public offering. Last September, Smiths Medical ended possible merger plans with ICU Medical (NSDQ:ICUI) in a deal reportedly worth approximately $4 billion. The companies had been in discussions since last May. Listed amongst other potential buyers over the past year are Baxter (NYSE:BAX), Teleflex (NYSE:TFX) and B. Braun, though no discussions have been officially disclosed. A report last November alleged that the industrial tech-focused Smiths Group was looking to spin-off the healthcare business and that CEO Andy Reynolds has considered a number of different options for the medical division, including sale or separate listing. London-based Smiths Group is planning to disclose its plans for separation during an earnings call on Friday, according to the Star Tribune. “Ultimately, it was a decision that has been made by the board of directors and by the executive committee of the group to really ensure that we are getting the strength of both companies — getting the strength of the med-device industry for a very specific medical device player, Smiths Medical, and you have the ability for … the other businesses in Smiths Group to really strongly relate to the industries in which they are involved,” Smiths Medical marketing executive Carl Stamp told the paper. The post Report: Smiths Medical parent co to announce separation plans Friday appeared first on MassDevice. Smiths Group (LON:SMIN) is looking to spin off its healthcare business and focus entirely on industrial tech after a failed $9.1 billion merger with ICU Medical (NSDQ:ICUI), according to a Reuters report. The company has considered a number of different options for the medical business, including a sale or separate listing, CEO Andy Reynolds said on a company call, according to the report. Smiths Medical was valued at approximately $3.7 billion (£2.8 billion) based on a slight discount, according to Liberum analyst Ryan Gregory, Reuters reports. “Preference would be if they could find someone to buy the business, purely because they can be cash rich and re-deploy and invest elsewhere … clearly it is better off being managed by someone else,” Gregory told Reuters. Teleflex (NYSE:TFX) and B. Braun could be considering picking up Smiths Medical, according to the report, though neither company has responded to a request for comment. ICU Medical also hasn’t commented on possibly reconsidering an acquisition. While Smiths Medical accounts for more than a quarter of the company’s total revenue, those numbers fell 2% for its fiscal year ended July 31. Despite the fall, CEO Reynolds believes that “it is a very valuable business in its potential,” according to Reuters. In September, Smiths spiked its merger talks with ICU Medical after rejecting a nearly $4 billion offer. The post Report: Smiths Group looks to spin off medical biz appeared first on MassDevice. Smiths Medical plans to distribute its CADD infusion systems to non-hospital-based providers through a preferred partnership with Medical Specialties Distributors, the company reported today. As part of its new distribution model, Smiths will also make its infusion pumps and sets available to providers outside of the hospital setting through InfuSystem (NYSE:INFU) and Integrated Medical Systems. The post Smiths Medical inks distro deal for infusion therapy products appeared first on MassDevice. Smiths Medical has amended an urgent medical device recall that it first issued in August for its Medfusion syringe pump model series 3500 and 4000. After acknowledging that a defect in certain models of the pump can cause an “invalid syringe size” alarm to go off, the company added an option for facilities with trained staff to perform the repair onsite.